The University in the capital of Sweden – home of outstanding education and research, and a place where open minds meet, discuss and develop. 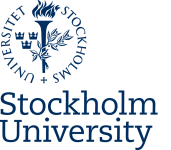 At Stockholm University more than 70,000 students and 5,000 members of staff are active in the areas of science, the humanities, social sciences and law. Human beings have affected virtually the entire environment of the earth, and the Baltic Sea has been impacted especially hard by toxic emissions and eutrophication in the last few decades. Animals that live in highly polluted environments can either die out locally or adapt and survive. In a new dissertation in natural science, Emma Lind, of Stockholm University and Södertörn University, shows that the three-spined stickleback fish have developed genetically in a short time in response to the environmental impact of humans. A placebo can activate a number of biological mechanisms in the same way that medicine can, which is why we are now beginning to understand why a placebo can heal and alleviate symptoms. Psychosocial factors, such as words or how a person is received, can help to heal or bring relief. These findings are being presented by the Italian researcher Fabrizio Benedetti, who is the keynote speaker at the PNIRS 20th Scientific Meeting in Stockholm on Thursday, June 6. It’s true that the brain governs the body, but the body also governs the brain, for example when the immune defense system makes us rest when we’re sick. This is shown in research that the world’s leading researchers and Nobel laureates will be presenting at an international conference in the research field of psychoneuroimmunology in Stockholm in June. This is research that, among other things, has led to new knowledge about the development of depression, severe stress accelerating aging, and how anti-depressive drugs largely function as placebos. What happens when a chemical bond is broken? That question was recently answered with the help of a so-called free electron x-ray laser, which makes it possible to follow in real time how bindings in a molecule are changed and broken. The study, published in Science, found, among other things, evidence of a much-discussed intermediate state before molecules bind to or leave a metal surface. The possibility of monitoring at the molecular level how the electron structure changes in a chemical reaction creates entirely new opportunities for investigating and understanding key chemical processes in detail. World fuel consumption is shifting more and more to diesel at the expense of gasoline. A recently published article in Nature Chemistry by a research team at Stockholm University and the Polytechnic University of Valencia in Spain presents a new porous material that evinces unique properties for converting gasoline directly into diesel. The material has a tremendously complex atomic structure that could only be determined with the aid of transmission electron microscopy. Devoting work time to physical activity can lead to higher productivity. This is shown in a study performed by researchers at Stockholm University and Karolinska Institutet that is being published in Journal of Occupational and Environmental Medicine. Researchers at Stockholm University have studied the exploding star Supernova 1987A. In an article published in Nature, they present findings that show, among other things, that the supernova has entered a new phase of shining ever more brightly. In many butterfly species the males can be seen fighting intensively for territory. What determines who wins is something that has long eluded researchers. A dissertation at the Department of Zoology, Stockholm University, now shows that what decides who takes away the victory is the motivation of the combatants. The death of parents entails an increase in their children’s risk of dying. This is shown in a new study performed by Mikael Rostila, a researcher at the Center for Health Equity Studies (CHESS) in Sweden, and Jan Saarela, a researcher at Åbo Akademi University in Finland. Those especially affected are younger children, and primarily if they lose their mother. At the first Nobel dinner in 1901 there were 113 distinguished gentlemen at the table. No ladies were invited or welcome. This, and much more, is related in the book The Nobel Banquets – a Century of Culinary History (1901-2001). The author is Ulrica Söderlind, an economic historian at Stockholm University.